On 14th November 2014 Tony and I enjoyed an evening of varied music when we attended the Philip Bates Prize for Composers and Songwriters at Birmingham Conservatoire. The first piece was “Me faytz trobar” by William Cole. Unfortunately, because the date for the event was set quite late by the Conservatoire, the performers, The Hermes Experiment, already had a prior engagement so a high quality video recording was used instead, although William himself did attend. The title means, ‘You make me write songs’. The opening was very striking – making me jump! The soprano soloist had an amazing voice and began the piece very powerfully. The tune moved very smoothly between the performers, consisting of a soprano, clarinet, harp and double bass and each section contrasted the others. 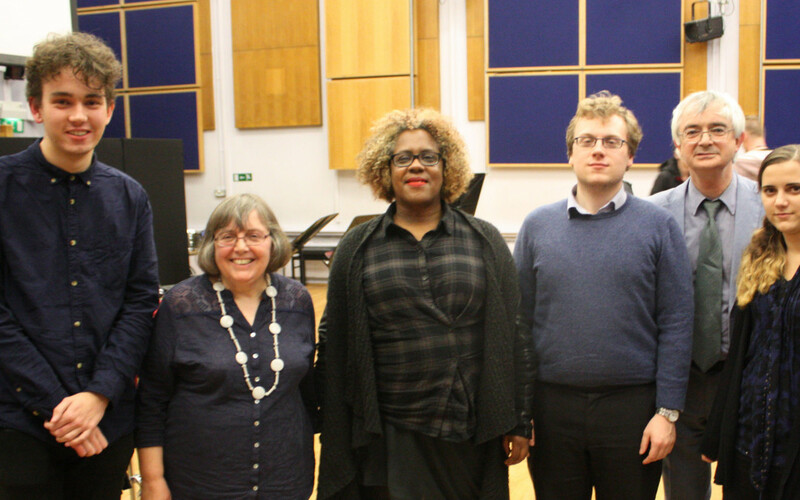 The composition was extremely well performed – I enjoyed it very much and it did win the Philip Bates Trust Prize. The next piece “Little secret” was a complete contrast. It was beautifully performed by the composer, Ami Opranova, accompanied by an accomplished jazz pianist, with bass and drums. Because it was extremely well improvised it was difficult to know how much was actually written down. Nevertheless it was a very enjoyable piece. This was followed by “Things are not the same” by Patrick Ellis, written for bass voice and a saxophone quartet. It was a very melancholy piece and although it was extremely well performed I felt that, contrary to the title, it was ‘very much the same!’ It did win the audience prize indicating that a number of people thought differently. The final piece, “Sop two, twice – cool air” had a very distinctive Chinese feel. The composer – Sam Leith Taylor – was influenced by a collection of Chinese poems by Wang Wei and the accompanying picture of the Yellow River. This picture also inspired the fourth instrument, a glass bowl of wet rocks. The soprano soloist was very ably accompanied by flute and guitar, along with the sound of stones being moved about in the water. After the first performance they all formed a circle and sat on the floor facing inwards; the piece was then repeated much more intimately. I felt it needed to be seen as well as listened to, to get the full effect. This piece was awarded the prize presented by Birmingham Conservatoire. I would like to say a big ‘Well done’ to all the composers and performers and thank everyone involved for a very enjoyable evening.